The senior police officer was arrested by the Malaysian Anti-Corruption Commission (MACC) yesterday, 25 October. New Straits Times reported that the 56-year-old senior assistant commissioner, who is attached to the Bukit Aman Police Headquarters, was detained at 7.10pm yesterday after being summoned for questioning regarding the case. According to theSun, an investigation was initiated against the police officer weeks ago. The senior assistant commissioner had allegedly been receiving over RM100,000 between August last year and August this year. 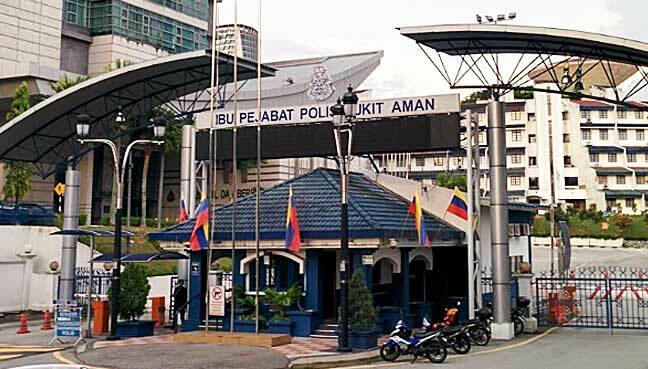 The sum of money is believed to have come from a corporal attached to the Bukit Aman Traffic Investigation and Enforcement, who was purportedly receiving bribes to reduce traffic summons. The police officer then threatened the corporal with "serious consequences", including expulsion from the police force. theSun reported that remand application for the senior assistant commissioner is expected to be made today, 26 October, at the Putrajaya Sessions Court. Sin Chew Daily reported sources as claiming that the suspect is Datuk Shahrul Othman Mansor, who was recently replaced by Perlis Police chief Datuk Azisman Alias as the Bukit Aman Traffic Investigation and Enforcement Department. When protectors of the law find themselves on the wrong side of the law.